You don't need to twist my arm to take a day trip to Ojai. 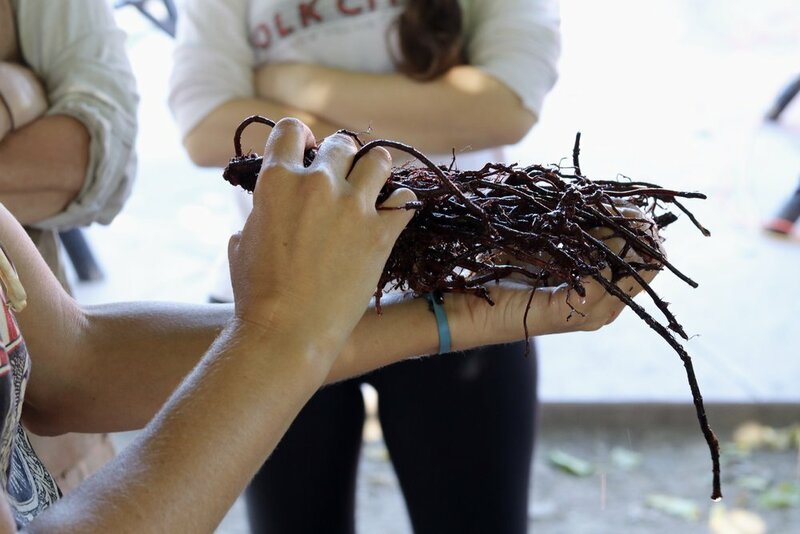 So, when I heard that Shelter Social Club was hosting a plant dyeing workshop with Kristin Morrison of KAM Textiles a few months ago, I was on my way, camera and notebook in tow. 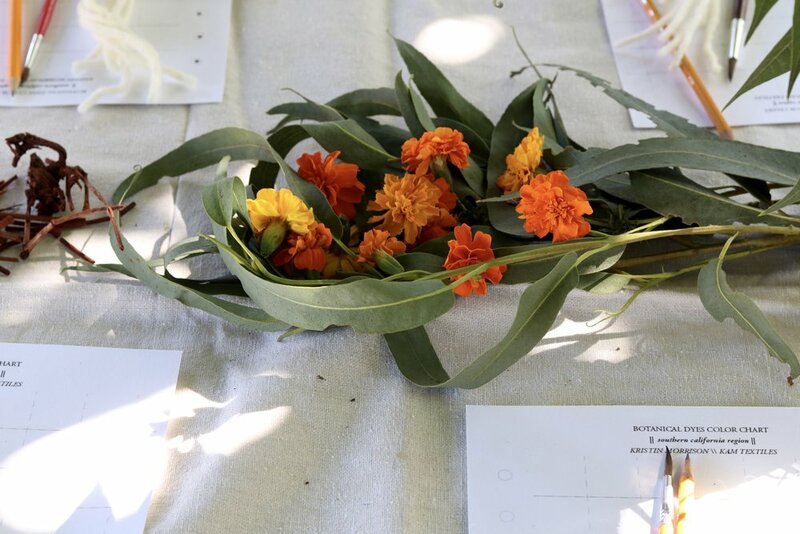 Below are some photos from an afternoon spent in the back yard of Ojai Rancho Inn with a group of creative and inspiring women, learning about local plants, the natural dyeing process, and the treatments that can modify the color result. Ojai Rancho Inn's pool and bar, Chief's Peak. Our work table, color charts, yarn strips, and some of the plants used in the workshop. Adding color modifiers can alter the intensity and the tone of the end resul. Final project: simple shibori-style handkerchiefs. All in all, this was a very informative workshop, and I am eager to try this technique in the coming year on linen.